It looks great! I am with you; I am a fast sewer, so working toward good alignment can drive me crazy! perfect points, in some ways though I think triangles can be easier than other ways, log cabin I struggle with as it really shows if slightly crooked. (sorry about the spelling but not in my7 dictionary!!) and the ones I did were, crooked I mean. It's looking great! That is a lot of points to match, but you're doing well so far. Have fun! Okay, triangles are gorgeous, but your signature is AWESOME! Woot! I love it! 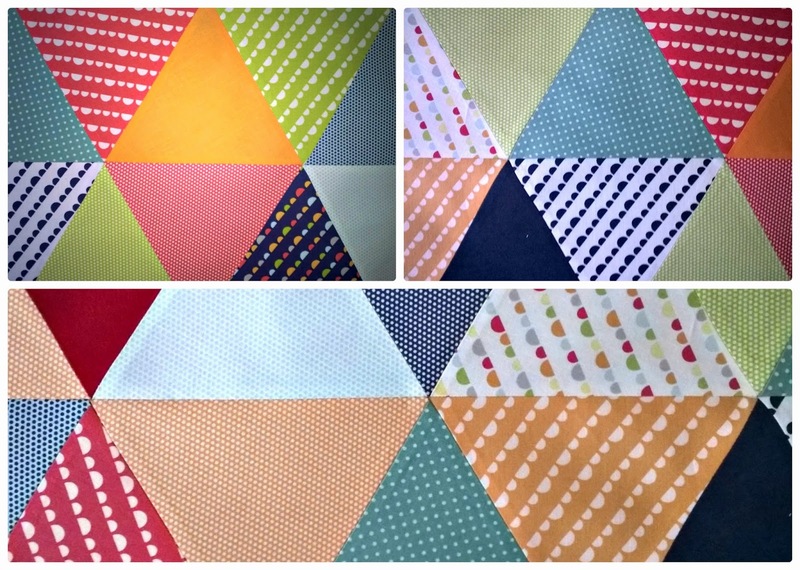 A triangle quilt is one my to-do list! Lots of fun fabrics you've used. And your points are perfect! Great job on those points, Diana. It sure pays to be patient. And I agree.... It's not easy to be! awesome, those points look amazing to me. I love the colors, can't wait to see it finished. Fun colors, Diana! My triangle quilt stalled at row 2 : P Maybe before summer's end I'll finally get it done!